At Rainbow Trust we need to raise at least £4.5 million every year to help families who need our support because they are coping with their child’s serious illness and the impact it has on their family. The local community plays a vital role in helping us raise this money. Here are some ideas on how you can involve your community. Placing one of our cash collection boxes at your till points or reception areas can help Rainbow Trust in a simple but very effective way. Collection boxes have raised a fantastic £19,540.70 to date. Our collection boxes not only raise much needed funds but they also help to raise awareness of Rainbow Trust. 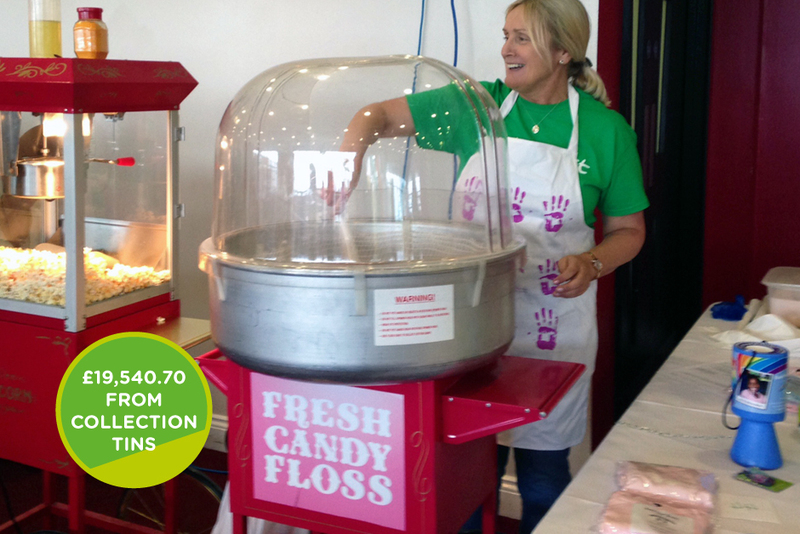 Michael’s Fish Bar in Bookham, Surrey has had one of our collection boxes since 1994 and raised a staggering £3,680. Last year whilst waiting for his fish and chips a local man saw our thank you certificate and decided to organise a charity football match. On a really hot day in May The Bookham Old Boys played the Chelsea Old Boys and raised a fantastic £5,000 for Rainbow Trust. Waitrose has been running their Community Matters scheme since 2008 and in that time has raised an amazing £13,000 for Rainbow Trust. 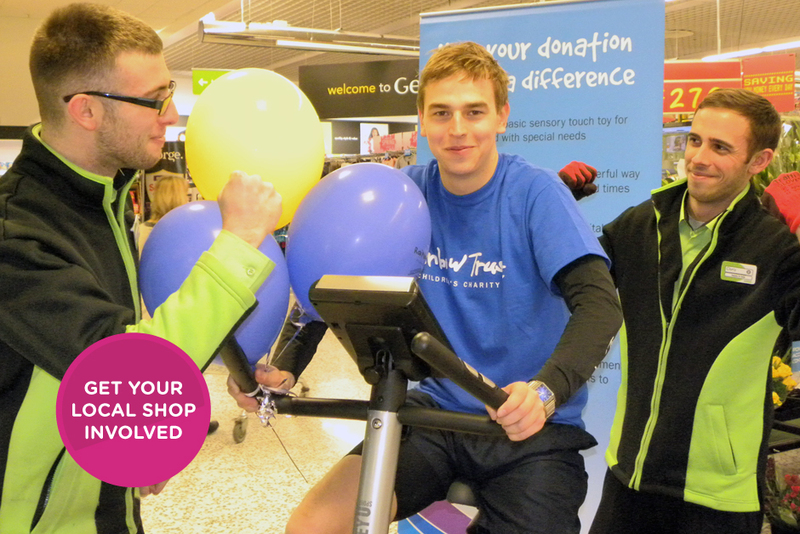 Each month stores receive £1,000 to distribute between three charities nominated by customers. Customers then vote for their favourite charity. To nominate Rainbow Trust at your local store just pick up a Community Matters form in store. After the success of Waitrose Community Matters scheme, John Lewis decided to launch it in their stores too. Each store has £3,000 to split between charities. To nominate Rainbow Trust as one of the chosen charities, please fill in a nomination form at your local store. Asda is now accepting online nominations for the charities you think they should support. Each store has a Community Life Champion who works a day a week to raise awareness for community organisations and inspire colleagues and customers to get involved. Simply find your nearest store online and fill in the short nomination form. Find out more here. Thousands of schools, community groups and charities across the UK are benefiting from Asda’s generosity. The Co-operative also has a programme where branch staff can nominate a local charity. So if you know someone that works for The Co-operative then please ask them to choose Rainbow Trust as their charity. Lots of schools, community groups and charities across the country have already benefited from their generous support. Looking for a charity of the year? ​Contact our friendly community team if you have any questions or would like to fundraise for us.